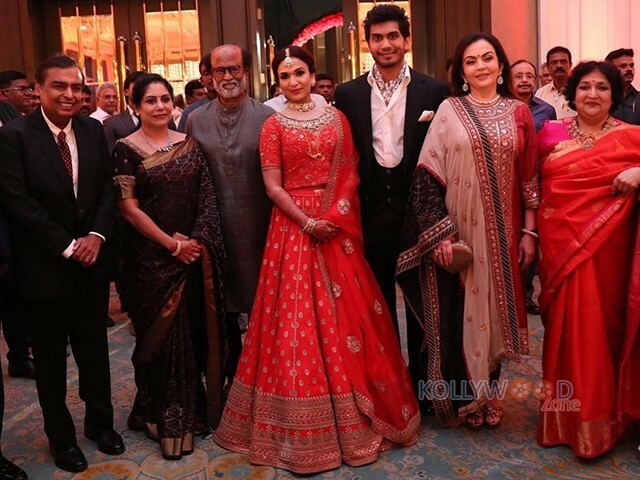 Home Kollywood News Exclusive Scoop of Soundarya Rajinikanth’s reception! Superstar Rajinikanth’s youngest daughter Soundarya Rajinikanth and Apex laboratories director Vishagan Vanangamudi got hitched on Monday in the Leela Palace hotel in a lavish manner that witnessed the presence of many prominent faces of the film industry, including high profile politicians like MK Stalin and Chief Minister Edappadi Palanisamy and also world famous actor Kamal Haasan. 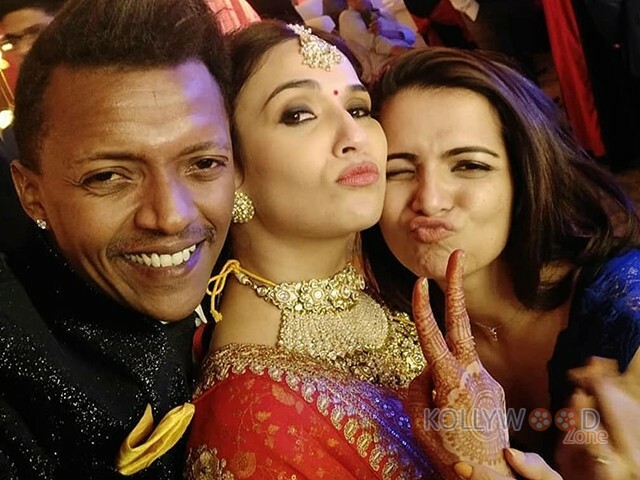 After the wedding, a lavish post wedding reception was held and this occasion also saw a huge turnout of industrialists and stars who came to wish and bless the couple. The highlight of the event was the presence of the top Indian industrialist Mukesh Ambani and his spouse Nita Ambani, who came all the way from Mumbai to bless the newlyweds. It is well known news that Rajinikanth and his wife Latha had graced the wedding reception of Mukesh Ambani’s daughter Isha Ambani and Anand Piramal, which was held on December 12. Also, actress Kajol, who had acted as the villain in Soundarya Rajinikanth’s last directional flick ‘Velaiyilla Pattadhari 2’ had also attended the reception. Kajol looked pretty in a vibrant red banarasi saree with a temple jewelry set. 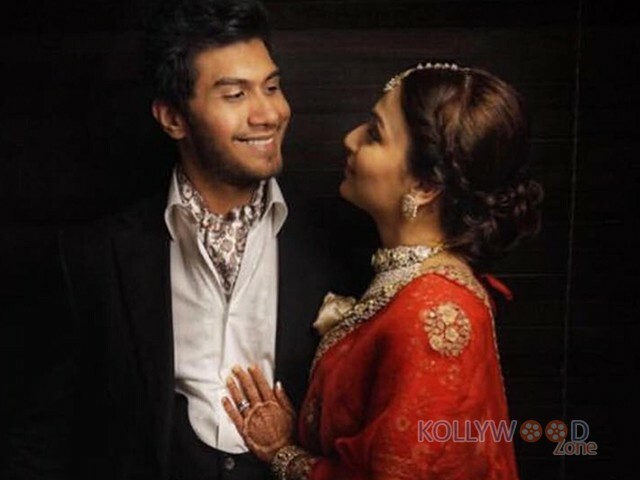 Soundarya Rajinikanth looked gorgeous in a red lehenga paired with a heavy gold choker, while Vishagan looked dashing in a white and black formal western suit. Kajol looked equally pretty in a vibrant red banarasi saree with a temple jewelry set.